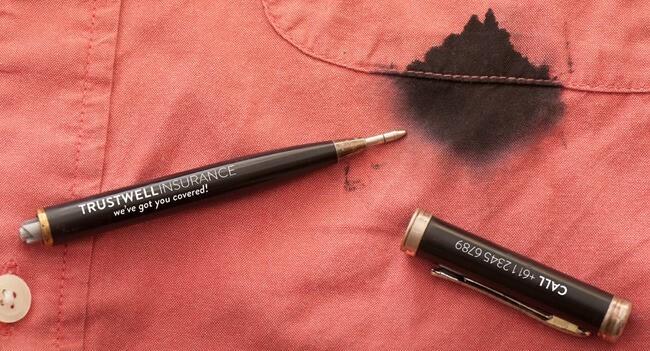 A cheap pen does not always provide the best value for your customer; potentially returning poor ROI, or even worse, damage to their brand. Your customers need to understand that whilst they may save in the short term, it could cost them (and you) $$ in the long run. Cheap pens often equal lower quality... and with a lower quality pen you run a risk; the ink might leak, the pen might fall apart or it simply won’t get used! A poor quality pen will send the wrong message... or fail to send any message at all! Longevity... If the life of the pen is short, so is the life of the promotion. In turn, this means less exposure and a low return on investment; a total false economy! A good quality print on a good quality pen will provide greater exposure and engender a more favourable association with the brand! The market is saturated and highly competitive... with low margins, high risk and poor returns. Separate yourself from the crowd, look to provide a point of difference and add real value to your business and that of your customer. Up-sell and impress them with your industry knowledge... Offering a better quality pen not only demonstrates industry nous, it also shows you understand and value your customer's business and are focused on achieving a best possible return on their investment! NOT ALL PENS (or suppliers) ARE EQUAL! At GlobalCatalogue we supply quality pens in all price points, provide a comprehensive in-house printing service, and guarantee the quality of both!